Trying to prove where Jeremiah , our earliest ancestor on this line, was born has long been a problem. The most likely scenario is that he was born in Yelverton, the son of Robert and Susan, but we have yet to find any evidence which we feel would completely confirm this. We continue to explore all parishes in Norfolk and Suffolk, and in doing so have gathered information on about 1,000 individuals whose surname is Albrow, or one of the many variations. If Robert does prove to be a direct line ancestor, then we have already found that his baptism in also elusive. We have seen a possible suggestion on the Internet that Robert was baptised in St Julian's, Norwich in 1723, but, if that is the case, then he would only have been nine when his first child was born! Deaths for Robert and his wife Susan have been found and show a much earlier date of birth for Robert. Our most recent Albrow ancestor, Louisa, was born in 1814 after the family had moved to Lowestoft from Reedham in Norfolk. 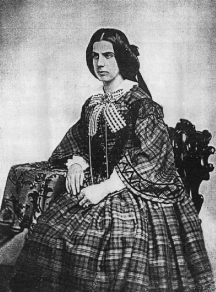 She began our interest in family history as our elderly aunts knew of her as Lady Louisa Annie Aldborough who was disinherited when she ran away and married a sea captain. Every family has its stories! Well, Louisa turned out to be a school teacher (how well educated, we do not know) who married a mariner named George Parker in Great Yarmouth. She does appear in her father’s will, so the family couldn’t have been too upset! We’ve traced many Albrow descendants in the Lowestoft area. There are some there today, although we have not made contact. We’ve also found some of Jeremiah’s descendants in New Zealand and Australia. The married names of Louisa’s sisters were Knights, Lark, Whelham, Chapman and one sister married another Albrow. We have some information about these families. Another family link is through Louisa's niece, who married Isaiah Tansley, a Trinity House Pilot. 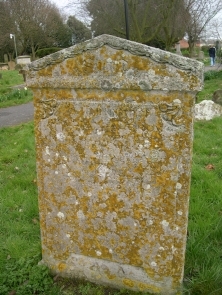 The very faded inscription on the gravestone of Jeremiah's wife Sarah, seems to indicate that she died in 1810. 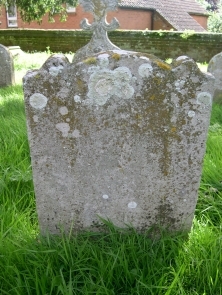 The gravestone of Louisa’s parents, William and Sarah, can be seen in the churchyard of St Margaret’s Church, Lowestoft.